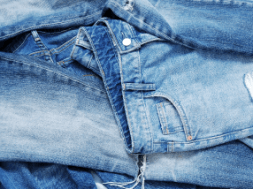 Garments assembly is a basic requirement of clothing and fashion design which involves a conversion of raw materials into a stitched and wearable piece of clothing. To make a complete garment assembling is required for different parts of a garment. The front and the back body, yoke, sleeve, collar, cuff, placket, and pocket need to be assembled together in order to make a basic shirt. 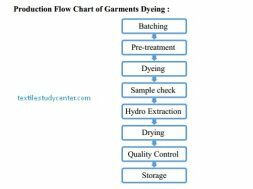 It is the traditional method of production in which one operator or small team is made one complete garment at the time by carrying out all the sewing processes necessary to assemble a garment. The operator can also make a pattern and cut the fabric according to his or her own method of work. After completion of assembling one single garment, the operator will start assembling the next one and so on. This type of garment assembly system is effective when varieties of garments are required to be produced in very small quantities. 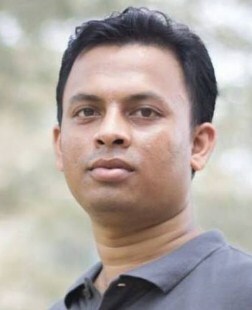 The individual system of assembling garment is more common with homemakers, local tailors, boutiques, etc. It has a quick throughput time and easy to supervise. There is no WIP in make through. 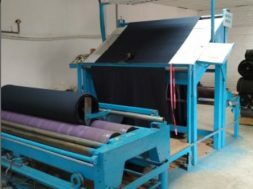 The progressive bundle system is a traditional production system that has been widely used in the apparel industries for many decades and still is today. In this system bundles of garments parts are moved in sequence from one sewing machine operator to the next. 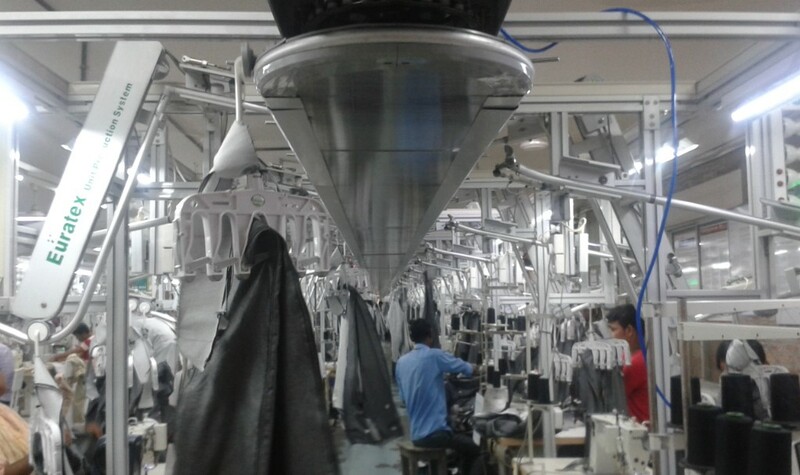 Each worker receives a bundle of unfinished garments and performs a single operation on each garment in the bundle. After finished of his/her work on a bundle, they are re-tied the bundle and passed on to the next operator. Each PBS task is given a target time or “SAM” (Standard Allowed Minutes). The success of PBS depends on how the production system is set up and used in a plant. 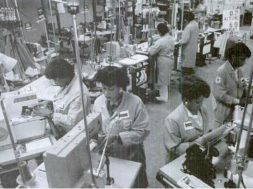 The unit production system (UPS) for apparel industries is a flexible material handling system that requires a computerized overhead transportation system to move the garment components automatically from one workstation to the next according to a pre-determined sequence. It replaces the traditional garment production system of handing, bundling, tying and untying, and manually moving garment parts. It provides uninterrupted workflow to the workers and helps to improve work efficiency and product quality. In the fast-moving fashion and apparel industry this is highly essential. Modular production system involves a group of 4-17 people who set their own standards and work together to produce a finished garment. 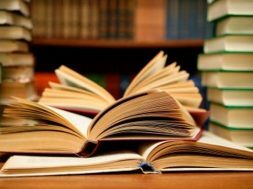 They work as a team or module and each team member works on more than one operation. 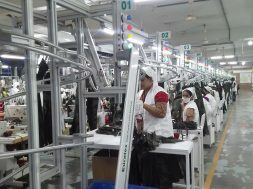 In this system, operators help each other to finish the garment quickly and the team is fully responsible for the production and quality. 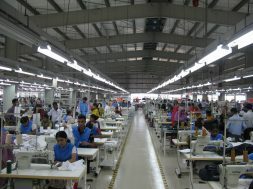 The number of teams in a plant varies with the need of the industry, size of the industry and product line in garments. This system MPS is the perfect solution for the apparel manufacturer where quick response is needed. 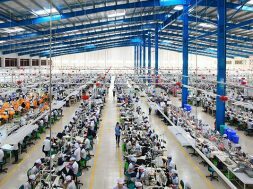 This system is also popular as a Cellular Garment Manufacturing, ﬂexible work groups or Toyota Sewing System (TSS).